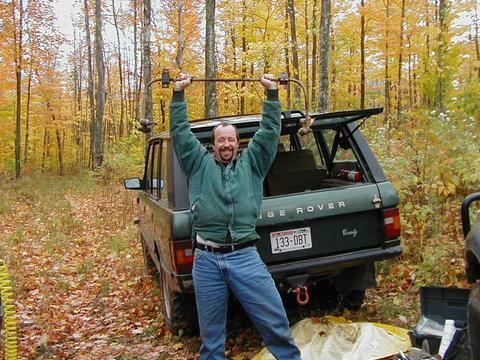 "A Land Rover is at once a delightful runabout and a rolling torture chamber. 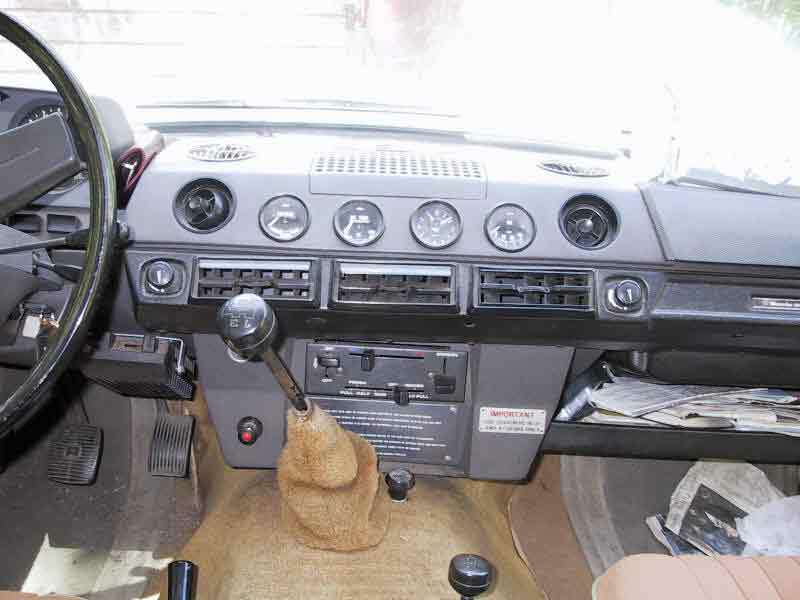 It combines the best and worst features of a truck with the insouciance of an MG-TC. It is a car that every man feels compelled to buy at one time or another, but hardly anybody has a use for. 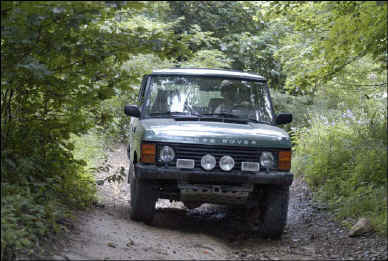 It is best suited to off-the-road cross-country adventure. Conversely it is not specifically useful for shopping trips, or general family-household use, but that's what people do with it. 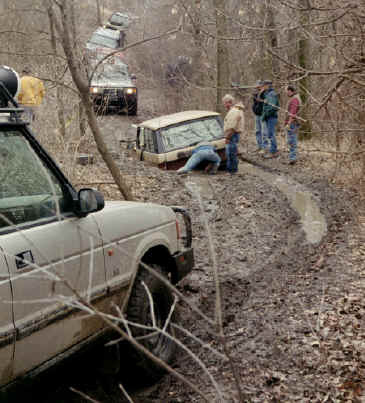 This is one of several instances where perfectly reasonable people have seemed to take leave of their senses on first meeting the Land Rover. It is less of a car than a state of mind. Its owners are the most partisan group imaginable and its would-be owners are legion." -- Car and Driver, September 1964. "...Uboat 109 come in... Uboat 109 this is Bravo Victor 7, come in..." Another successful field repair! Who needs a rear sway bar anyway? I'm on the left, John from Minn LRs is on the right... who had the best line? This info has been culled from range rover list members and from my own repairs to my Range Rover... thanks to you all. Please feel free to take any of this info and post in a "real" RR site.